MONDAYS – We have added a 8:10am Sculpt and Tone class with Clare. Yay! TUESDAYS – We have added a 12:10pm Pilates Mat – All Levels with Jenn. Yay! THURSDAYS – Monica is now teaching the 4:10pm Breath Centered Yoga class and Megan is teaching the 5:10pm Pilates Mat – All Levels. FRIDAYS – Jennifer’s 12:10pm class is now an “All Level” class. Don’t worry Advanced Class fans – she will still be cuing to work you out! SATURDAYS – The Beginning Equipment Group has moved to 10:05am. Yay! And that’s it folks! See you in the studio soon! https://www.tonefitness.com/wp-content/uploads/2018/04/tone-logo.png 0 0 monica https://www.tonefitness.com/wp-content/uploads/2018/04/tone-logo.png monica2014-04-03 11:55:552014-04-03 11:58:13Calorie Burn, Cardio, Strength Training and Fun! NEW 1:05 – 2:00pm Springboard and Small Equipment with Kathy. Separate pricing. 5:10pm Bodeci Workout is now called DEVbody. Same great workout! 4:10pm Tween Pilates on Thursday’s last class is April 3. The Tuesday class will continue. 8:10 – 9:00am Easy Flow Yoga – we are currently interviewing potential teachers. Decision soon! https://www.tonefitness.com/wp-content/uploads/2018/04/tone-logo.png 0 0 alyson https://www.tonefitness.com/wp-content/uploads/2018/04/tone-logo.png alyson2014-04-01 14:37:502014-04-03 11:57:39April Class Updates! The March Schedule is out! Early Morning Yoga – we’ve added Heidi on Mondays and Clare on Fridays. 6:45 to 8:00am. Don’t worry if you have to leave early for work. That’s fine. So, now you can come to yoga Mondays, Tuesdays, Thursdays AND Fridays. Heidi and Clare wrote their description for their classes. I would invite you to take a look. They are very sweet. Oh! Come on Monday and/or Friday the first 2 weeks in March for the chance to win the book “Heart of Yoga”. PreNatal Yoga + Pilates – we now have 2 available times for this – Mondays at 4:00 with Jenn and Wednesday evenings with Loni at 6:10pm. The Wednesday night class has been shortened to end at 7:00pm. We hope this works for everyone. Both Jenn and Loni are very excited to work with our PreNatal folks. Please help spread the word about these classes. I know there are not very many PreNatal movement offerings in Sonoma County AND the work is so important, functional and healthy. Tween Pilates – We are excited to offer this class. It will be held on Tuesdays and Thursdays at 4:10 to 5:00pm for 4 weeks – with a break the week of March 17th for Spring Break. This class came forth because of a suggestion from a client. She offered concern for her growing daughter to continue to exercise during the off season of her sport and seeing her slouching. Another client was concerned that her daughter, while athletic, was not very flexible. I watch my kids hunched over their cell phones and wonder. So, in this class, they’ll play with posture, alignment, flexibility and stability. $10 drop in. We set it up for 11 and 12 year olds but if your kid is interested and not in that age range, please do not hesitate to contact me and we’ll talk about if it is appropriate for him or her. Who knows? You might get a class set up for YOUR kid! New Saturday Line-up – Clare is teaching an 8:10 Sculpt and Tone class. She’ll bring a zip to your step and a smile to your face while giving you the strong, awesome workout that you are looking for. We hope you can join her. Fernanda is teaching the Mat 1&2 class and Clare is teaching the Intro/Level 1 class – both at 9:10am. Awesome! There’s some teacher changes and equipment group switches. Come by and grab a schedule and our online schedule is always up to date. Keep the class ideas coming. We love to hear your suggestions and know that we are always working on new and exciting offerings. See you soon! https://www.tonefitness.com/wp-content/uploads/2018/04/tone-logo.png 0 0 alyson https://www.tonefitness.com/wp-content/uploads/2018/04/tone-logo.png alyson2014-03-04 15:39:422014-03-28 10:13:18The March Schedule is out! We begin with sending our best wishes to our lovely teacher Sonya McVay for a healthy, happy, safe, easy birth of her third child. Wow! Send her great wishes and we’ll keep you updated on her status. In her absence, we have Brittany Schmitt covering her Tuesday evening 5:10 Pilates Mat class and her Tuesday evening 6:10pm Sculpt and Tone class. 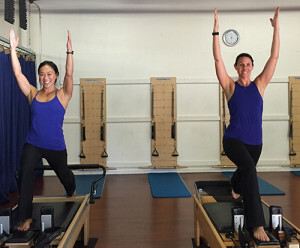 Cari and Fernanda are going to cover her Friday 5:10 Pilates Mat class. Maggie Brickner will be covering her 6:05pm Level 2&3 Equipment Group. Awesome teachers all around! We are very excited to welcome Deacon Carpenter to our Yoga staff at Tone! He will begin his teaching journey by taking over the Tuesday Evening 7:10pm Gentle Yoga class. Deacon is an Ayurvedic practitioner and has been studying yoga with Monica Anderson for 2 years. His sweet melding of Ayurveda and Yoga brings depth and inspiration to his yoga class. We hope you will join him Tuesday evenings. Sonya Monk’s 11:05am equipment group is now a Level 1 & 2. 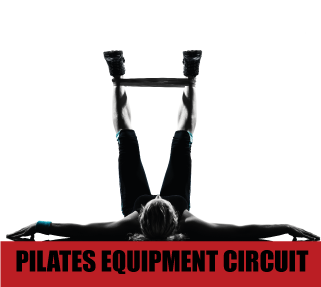 If you haven’t tried our equipment groups and have taken 10 Pilates Mat class, we would highly recommend it. The Pilates equipment adds another dimension to your Pilates workout. Come talk to the front desk or email us for options that will work for you! We are so excited to be in our new, amazing space on Ross Street. Look out for March where the ideas that have bubbled up in the potential of this space come to reality! Click here for a printable February schedule.